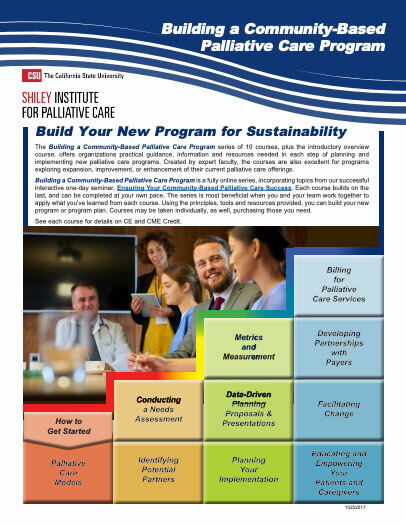 This is the third course in the 11-part series of Building a Community-Based Palliative Care Program. You can take this single course or the entire series. Are you confident that you understand the specific palliative care needs of people in your community? 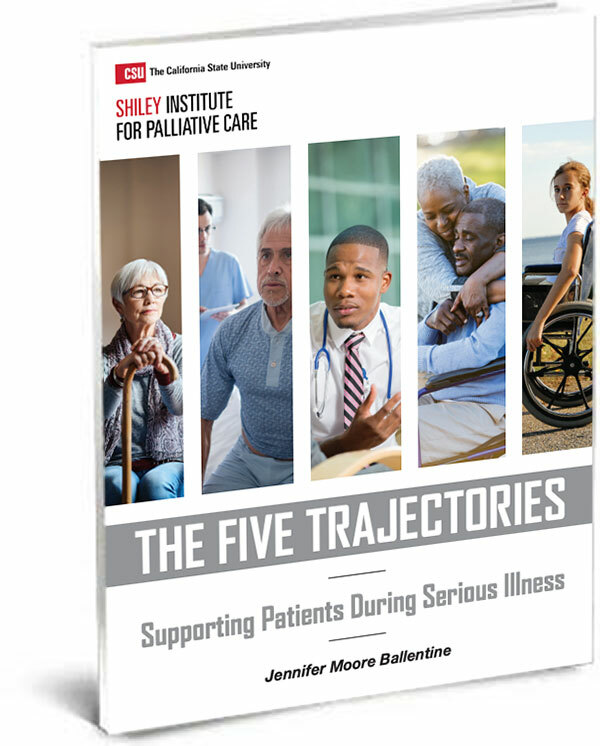 Have you asked local hospitals, physician practices, community organizations, and payers how they think palliative care could benefit their organizations? A needs assessment is a systematic approach to gathering information that describes, in detail, the needs of a population or community. The data gathered during a needs assessment allows you to build a program that meets the needs of the population you want to serve, and is financially viable given the size of your target population. Conducting a Needs Assessment outlines the process of collecting the data that is vital as you plan your program. Will the organization be providing basic or specialty palliative care or both? What population(s) can the palliative care program serve given the projected need and organizational resources? Is palliative care needed in all care settings? What specific services can you provide to meet an unmet need in the community? Which organizations, if any, can enhance your ability to succeed? Is ideal for: Clinical and administrative leaders responsible for developing a measurement framework, quality improvement staff and palliative care program leaders. Provides: A step-by-step process for developing a balanced measurement portfolio. The Doctors Company designates this activity for a maximum of 1.5 AMA PRA Category 1 Credits™. Physicians should claim only the credit commensurate with the extent of their participation in the activity. The purpose of this course is to provide you with a detailed process your organization can follow to conduct a palliative care needs assessment. Using the data from the needs assessment, you will be able to develop a comprehensive understanding of the specific palliative care needs in your community. You will be given the tools and strategies to help you conduct the assessment and present your findings to your leadership and stakeholders. Helen B. McNeal is the Executive Director of the California State University Institute for Palliative Care at CSUSM. Prior to joining CSUSM, Helen served as Vice President of San Diego Hospice and The Institute for Palliative Medicine (SDHIPM) where she was responsible for all of the operations of The Institute for Palliative Medicine. Prior to joining SDHIPM in 2007, Helen was Founder and President of Naria, LLC. Helen founded and was Board Chair of Evergreen Hospice in Markham, Ontario; she has consulted with both U.S. and Canadian government agencies on palliative care strategies. Helen is also the co-author of Module IV: Palliative Care of A Comprehensive Guide to the Care of Persons Living with HIV/AIDS. She has consulted with the National Hospice and Palliative Care Organization on state hospice organization initiatives and led a national project to look at end of life care in the American prison system. In addition to a degree in Business Administration from the University of Michigan, Helen has done post-graduate study in business, psychology and organizational development. Kathy Brandt, MS, the Principal of the kb group, has over twenty-five years working in hospice, palliative care, aging, and caregiving at the national, state, and local level. Kathy helps organizations identify and maximize their capacity through business development, project management, marketing, engagement, strategic planning and systems design. For more than 16 years Kathy helped lead the National Hospice and Palliative Care Organization, working her way up through the organization to become the Senior Vice President, Office of Innovation and the Executive Director of NHPCO’s Mary J Labyak Institute for Innovation. For seven years Kathy worked at Suncoast Hospice where she created a community engagement model, Project DECIDE, which led to Suncoast being named as a Robert Wood Johnson Foundation funded Rallying Points Regional Resource Center.